The importance of mobile marketing is growing, and it’s only going to become increasingly essential in the years to come. As we learned at Google L.A., mobile search surpassed desktop search in October of 2014. In fact, it’s indicated that over 50% of all searches on Google come from a mobile device. That’s right, mobile searches outnumber desktop searches by a considerable margin—and it’s only expected to grow exponentially in the future. This makes sense, as mobile devices are easily accessible, much more convenient, and on average people check them every six minutes. This means that if you have a mobile marketing strategy, you’re increasing your chances of driving a lot of traffic. Here are a few things you should know about mobile marketing to start taking advantage of this oh-so-important facet of inbound marketing. 1. 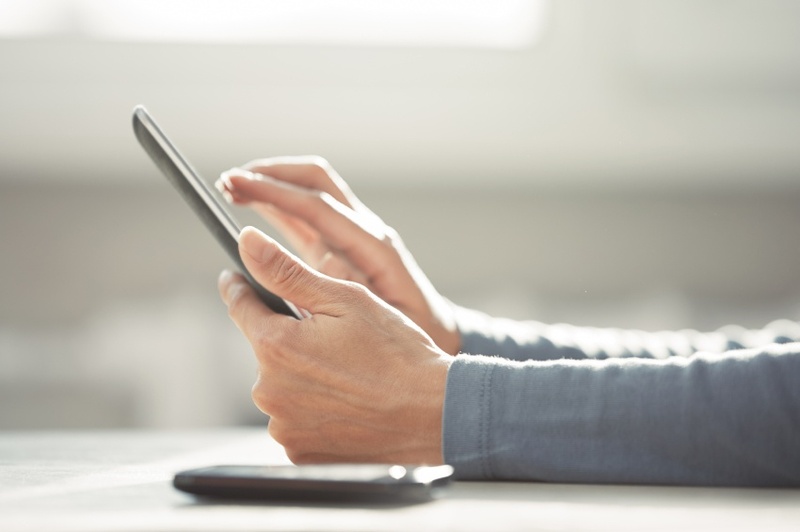 Ensure your website is mobile-friendly. What does “mobile-friendly” mean? At it’s most basic, it means making sure your website looks good on mobile devices (both in portrait and landscape view). The best way to ensure your site looks its best on mobile is to have a built-in mobile preview in your web platform. Take Hubspot for example. Their intuitive, easy-to-use web builder allows users to toggle between desktop, tablet (portrait and landscape), and mobile (portrait and landscape) views. This means users can make sure their site pages look good and work properly on all devices before hitting publish. 2. Utilize responsive web design. A great way to make your website mobile-friendly, responsive web design (RWD) aims at designing websites to provide an optimal interaction and viewing experience for users. In other words, users don’t have to resize, scroll, or pan as much to view your site across different devices. This means your web designer or whatever web design platform you’re using should use flexible images, fluid proportion-based grids, and media queries. 3. Understand mobile users’ intentions. What do your mobile users want versus your desktop users? It’s highly possible that they’re looking for and/or doing completely different things. Look at mobile versus desktop intentions, and you’ll unearth some interesting findings. On desktops, users generally spend more time researching and are less forgiving of your website’s content and design. When it comes to mobile users, on the other hand, if you’re a local business, they’re your meal ticket. One in three mobile searches have local intent, “near me” searches have increased 34 times since 2011, and studies show that over 50% of mobile searches result in local visits to a store. You should invest in mobile marketing to keep user friendliness a priority and get your fair share of search traffic. If for nothing else, do it for Google. As many marketers know, Google has been taking mobile more and more into account. In fact, they recently rolled out modifications to their algorithm that affect how well websites rank in organic search results depending on mobile usability. That’s probably why mobile marketing budgets have jumped 36% over the past year. It’s time to go mobile today. Because what marketer wouldn’t want to reach his or her ideal customers from within their own pockets?